Sterling possesses steel hard skin and superstrength. Not even an artillery shell fired at point blank range can penetrate his skin ; however he can be dominated by magic and stunned by a blow to the head. His greatest worry are solar flare-ups, which cause his powers to ebb. His other powers include magnetic properties, and the ability to run his electrolyzed tongue across his teeth to tap telephone wires. 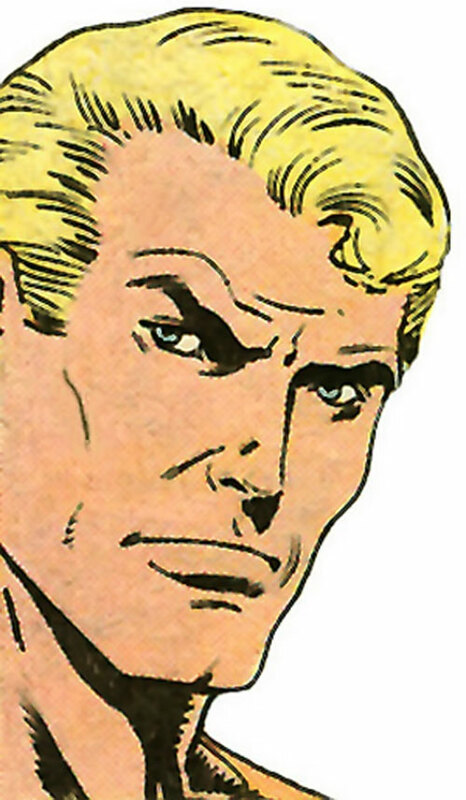 Sterling was also a skilled scientist and detective as typical of the Golden Age’s omnicompetent heroes. When his father was killed by gangsters, young John decided to become a crimefighter. Studying chemistry, he searched for something that would give him an edge in battle ; what he found was a formula which, theoretically, would give his body the properties of steel. Coating himself with the formula, he hesitated before taking the last step-diving into a cauldron of molten steel. Mustering his courage, he jumped in and emerged with tissue as mighty and impervious as metal, with magnetic properties to boot. Rather than adopt a Secret Identity per se, John pretended the superhero was his brother ; this gambit proved cumbersome, however, and was abandoned after several months in favor of John being Steel Sterling around the clock. In a 1983 retelling of the origin story, Sterling is hypnotized by a star, which compels him to walk through flames at an iron foundry, whence he gets his powers. The star thereafter leads him to a garbage pail where his costume is mysteriously planted. 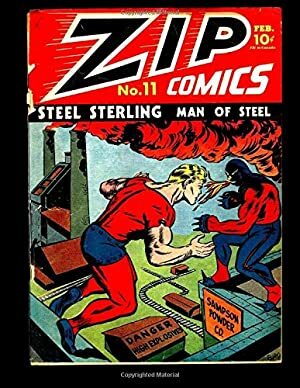 Steel Sterling was driven to fight injustice by the death of his father. However he displayed more of a heroic personality than the “Grim Avenger” type.